This month in Subdetritus we take a snapshot of where things are at in the world of bass music right now. While we are all huddling around heaters, it’s the height of the northern hemisphere’s summer and much of the scene’s big hitters are out on the road peddling their sounds at festivals and clubs the world over. 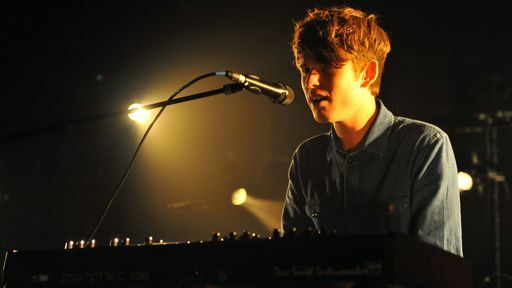 James Blake took on the Park Stage at Glastonbury last month to rave reviews fuelling anticipation of his imminent Australian tour. The electronic music Mecca that is Sonar Festival descended on Barcelona the week before Glastonbury with a bass line-up only dreams are made of. From many friends of mine who were there, it seemed there was almost too much good music to absorb. While the more pop-leaning bass acts like dubstep supergroup Magnetic Man, Katy B and Zinc reportedly sounded pretty dull and uninspired, there were astounding sets turned in by the likes of Aphex Twin, Downliners Sekt, Raime, Teebs, oOoOO, Buraka Som Sistema, Shackleton and Illum Sphere. Radio queen and bass champion Mary Anne Hobbs played a 2:30am set to an estimated crowd of 15,000 people at Sonar and backed it up by a sunrise set to 20,000 at Benicassim Festival last weekend. Hobbs has a lot to be happy about at the moment with her much lauded return to radio two weeks ago on Xfm. While her BBC Radio 1 Experimental show (a favourite of this column for years) was in a mid-week timeslot in the wee hours of the morning, her new show on Xfm is a primetime 7-10pm slot on Saturdays. “This is such a victory,” Hobbs said in a press release. “Not just for me, but for all the artists I believe in and all the live listeners who care so deeply. My aim… to create some truly mind-blowing, redefining radio on Xfm.” Her first show featured guest mixes from Deep Medi Musik’s Silkie and LuckyMe’s Machinedrum, while last week featured mixes from Ninja Tune’s Daedelus and Planet Mu’s Falty DL. Highly recommended if you’re hungry for fresh underground bass music. Speaking of which there have been plenty of new releases to heat up those speakers this winter. Zomby has just dropped his second album Dedication for indie label 4AD which builds on the woozy, synth-heavy Nintendo-step of his highly regarded early releases for labels like Hyperdub, Ramp and Werk. Zomby is an artist who has always operated outside of the status quo and while this album is relatively short, it contains so many great moments and ideas. The latest transmission from Flying Lotus’ Brainfeeder collective is the proper debut album from Samiyam. While the LA-centric “wonky” hip hop sound is starting to sound tired in the hands of many, Sam Baker’s Album possesses a funk and fidgetiness that sounds more exciting than most of the woozy, bass-heavy Dilla knock-offs making the rounds. Following two self-released CDRs, recent visitor Pursuit Grooves has also released her debut album Frantically Hopeful. Interestingly released on the Bristol-based label Tectonic run by Pinch, the record is an eclectic listen still firmly rooted in future soul with a definite Dam-Funk vibe that flirts a little with pop music in a good way. Other hotly anticipated bass music releases on the horizon include the new full-length from Ras G on Ramp and the new EP from Scotland’s Hudson Mohawke on Warp Records. On the Brisbane tip, it would be remiss of me not to mention local duo Science Project who seem unstoppable at the moment with upcoming shows in Melbourne and a support slot for Los Angeles-based Nosaj Thing this week. Their deep love of dub and reggae has been the focus of a couple of beat tapes that are available on their Bandcamp page – one a tribute to Bob Marley and the other to Osbourne Ruddock (a.k.a. King Tubby). The beat tapes feature versions by the boys themselves and locals such as Erther, Syntax, Walrii and Puzahki.